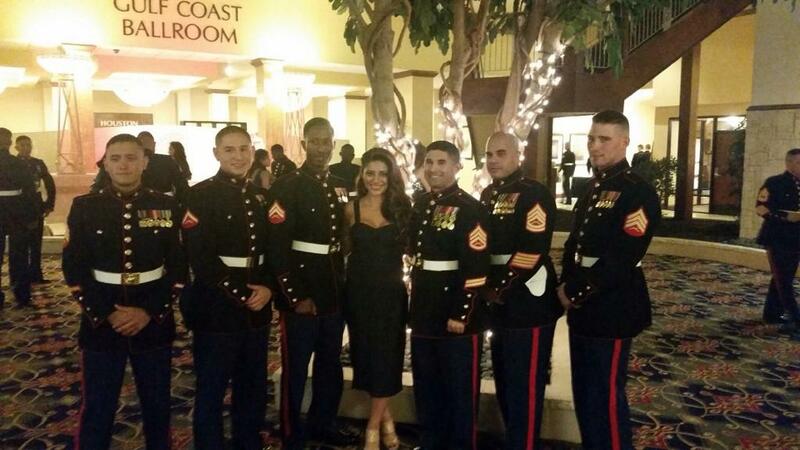 Sikk Shades by Eddie Bauer, Jr.
Sikkshades by Eddie Bauer, Jr.
Mayra Leal was an honored guest at the 239th Marine Corps Ball in Houston, held at the Marriott South at Hobby Airport Location. She posted this photo last night on her Twitter account and we thought we would share it here. Mayra enjoyed the opportunity to be interviewed for this hit radio show in Houston which airs on Salem Broadcasting in Houston Texas 1110AM on KTEK and on-line. Kevin’s show airs M-F from 7am to 8am. Mayra has other interviews pending and we will release more information as they arise. OMGoodness, Summer is Approaching – Poolside Babay! We joke with Mayra. She doesn’t ever really take a bad shot. There is “Wow” and “Damn” and then there is “OMGoodness!” We hope you likey. For the fans all over the world. Who is this Photographer Michelle Eulene at Hold Still Media? Google her. 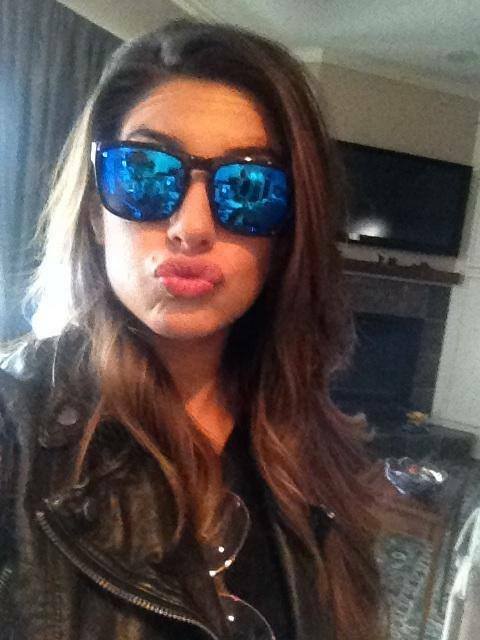 Mayra posted this photo today on her personal Facebook. We thought we would share it with the fans. A lot of cool things on the horizon for Mayra. Thank you for following along. 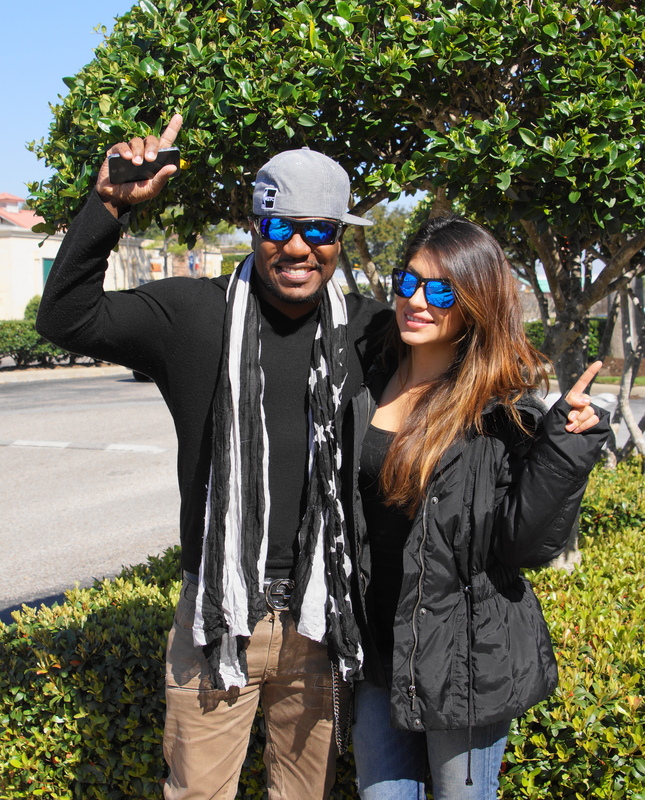 Mayra met-up with 2013 Grammy, multiple Dove and Stellar Award-winning music producer Billy Dorsey in Houston, Texas to discuss an opportunity to be in Billy’s next music video from his album “Marathon” for the song “Perfect Love”. Mayra, Billy, and Andy Valadez of Marketing Dynamics (not pictured) met at a local Cafe Express for lunch and had a great chat to discuss the vision and plan for the production. We’ll post more information about the plan in coming posts. (Houston, Texas) – Sikkshades® by Eddie Bauer, Jr. was launched in May of 2013 with idea of changing the industry from what is currently available in the three billion dollar sunglasses market. A true entrepreneur and iconic leader in his circles, Eddie sought out the best in the sports community for market feedback, retail and distribution advisers, marketing and sales strategists, lens technology leaders, and artisan Italian designers to create two introductory styles – The Huckleberry and The Qualifier (wraps). The shades currently retail at $129 each, a very competitive price point compared to more established offerings at much higher prices. Movie actress Mayra Leal (www.MayraLealInFilm.com), Managing Director of Mayra Leal Entertainment, LLC (Houston, Texas) will be the new face behind Sikkshades by Eddie Bauer, Jr. Mayra has many unique talents and gifts to help communicate the benefits of the brand on-line, in advertisements, and will be interviewing sports celebrities and other movie stars and producers on the red carpet via a video syndication deal with a leading company in that sector. Mayra has appeared in several television programs to include “Locked Up Abroad in Bangladesh”, “Revolution”, “Southland”, and “Memphis Beat”. She has also been featured “Machete” by Director Robert Rodriguez, starred in “Playing House” by Director Tom Vaughn, featured in “Sanitarium” with Robert Englund (“Freddy Kruger”), and just completed a role in “Osprey” by Director Wayne Slaten. “We are looking forward to working with Mayra and associating her unique image with the style of shades that we will be introducing to our current market and catering to all demographics and sectors,” says Eddie Bauer, Jr., CEO of Sikkshades by Eddie Bauer, Jr.
Sikkshades by Eddie Bauer, Jr. features a patented non-slip nose grip. Many athletes lamented that the major brands slip off their face under the inertia of their movements. In addition, these intense performers were concerned about “prism” effect and distant distortion provided by leading eyewear as well. At high speeds, clarity of vision and distance judgment is critical. So, Eddie solved these problems with a product that is fashionable, balanced, assembled by hand, built-to-last, and relieves stress points along the temples and behind the ear. Flash Electric™ ballistic grade and shatter-proof lenses provided by Carl Zeiss, reduces or eliminates visual micro fractures which can stress the eyes. Flash Electric is an iridium embedded process that is scratch and smudge resistant and allows the eye to receive natural light without causing pupils to dilate and impacting the eyes with an overexposure of UV and UVB light. Other lenses may cause the pupils to widen, allowing more unhealthy light rays to impact the retinas. Some, have reported a feeling of nausea with inferior lenses. The iconic “Sikkshades Groucho” logo was expertly designed by a leading logo designer and has been adopted in the extreme sports and longboard skate community as “The Moustache Shades” which adds to the “cool factor”. The eye ware has also been adopted by those serving the military and law enforcement, with great reviews on social media. Sikkshades by Eddie Bauer, Jr. is a sports action eye wear company based in Houston. Eddie Bauer, Jr. has been an adrenaline junkie for many years competing in extreme motor cross, iron man competitions, and more. The science and technology behind his designs are being received well within the extreme sports community, music industry, and now the film community. We hope to see you at the red carpet events and sporting events across the country. Eddie’s team of marketing and sales professionals are eager to serve you in any capacity that helps you to become more competitive and comfortable when exposed to the effects of damaging solar UV rays on the eyes.